If you’re thinking about developing a secondary suite, or legalizing an existing suite, there is no better time than now. City Council approved an 18 month long Development Permit exemption from September 1, 2015 to March 3, 2017. If your property is eligible, you can save an estimated $2,200 in costs and hours of paperwork by skipping the Development Permit process altogether. Good news, The City is currently waiving the Development Permit fee for secondary suites, and if your property is not zoned to allow a suite, the fee for a Land Use Re designation application. You’ll still have to apply but at least you won’t need your wallet. Earlier this month, The City launched an 18-month Development Permit exemption to make it faster and easier to develop a basement suite where allowed, and rules of the Land Use Bylaw are met. The exemption program aims to reduce barriers, like time and money, from developing a safe basement suite. 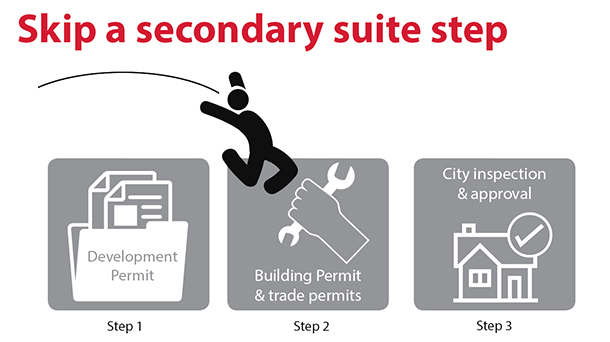 To learn more about the secondary suite registry or the Development Permit exemption, please visit calgary.ca/secondarysuites or contact 311. 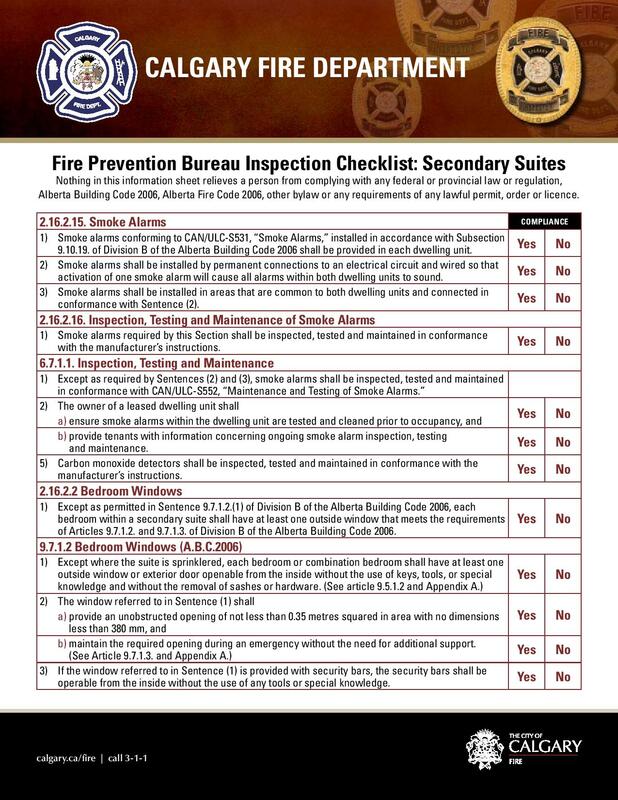 To verify a suite is legal click here view the additional details below. Changes to the 2014 Alberta building code comes into effect November 1st 2015. The changes for secondary suites are very minor. The big changes require smoke detectors in each bedroom and common areas that are interconnected to each other so when one goes off they all go off. It also now requires solid core doors that have self-closing devices. 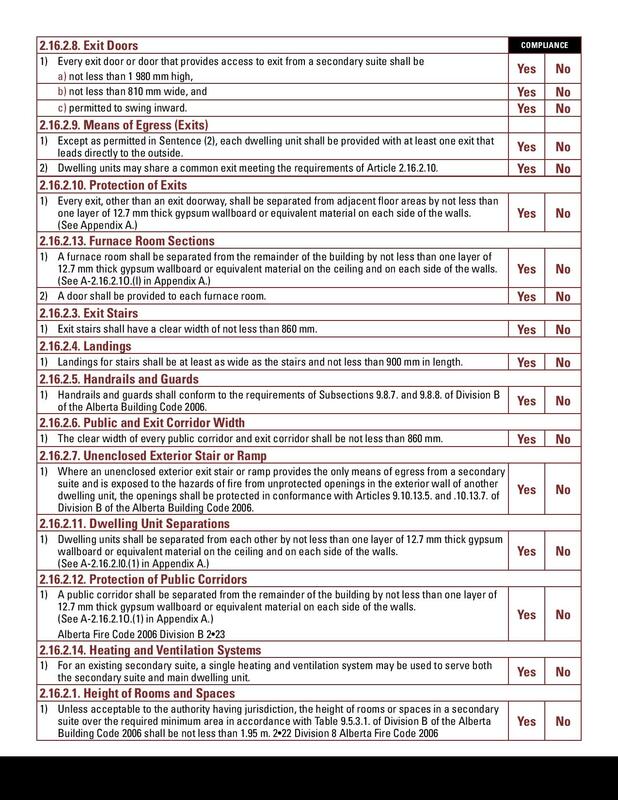 It is important you hire a contractor that is familiar with these code changes as mistakes always cost more if they are not caught prior to completion. If you get a building permit prior to November 1st, 2015 then you will only have to meet the 2010 Alberta building code. Email Glen@Godlonton.com for a copy of a summary of the building code changes for a secondary suite. Step One: Prepare the items on the Building Permit complete application requirement list. Step Three: Submit the application at the Municipal Building 3rd floor counter for a building permit review. Step Four: Check out the Assessment checklist, and start construction. Verify if a secondary suite is registered with The City. 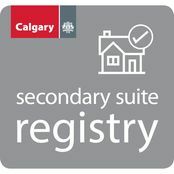 If you’re thinking about living in a secondary suite, verify it’s on our registry in our tool below. There is a big advantage to developing or legalizing a basement suite now because you may be able to skip the Development Permit step, saving you both time and money. City Council has approved an 18-month long Development Permit exemption that ends on March 3, 2017.